Before every creation of infrastructure, those involved would certainly carryout risk assessment, identify the hazards, cost/benefit analysis made, insurance aspects for protection discussed and measures to ameliorate possible risk scenarios strategized – yet nothing in this beautiful World can be called risk-free totally. Then there are people who would organize protests without understanding basics !! ~ a couple of publicity mongers with hidden agenda may add vocal power and they could be backed by funds with ulterior motives !!! Over 1/3rd of the US population lives or works within 50 miles of a nuclear power plant ~ and some of them are located in earthquake hazard zones. According to experts, it is no coincidence that the placement of these power plants follows the population distribution, which has historically followed major waterways and ports. Additionally, the strategic placement of these power plants close to major water bodies also provides the water required to help cool the plant however, the placement near the water’s edge, particularly next to the ocean, increases risk of damage from environmental impacts such as sea-level rise, tsunami, hurricane, or other extreme weather events. In Sept. 2017, a 6.1 magnitude earthquake hit the northeast coast of Japan, just 200 miles east of the damaged Fukushima nuclear power plant. The earthquake occurred just before noon EDT on a Wednesday (the middle of the night in Japan), and was about six miles deep, according to the U.S. Geological Survey (USGS). Its epicenter was near that of the huge 2011 earthquake that led to a tsunami and caused a nuclear meltdown in Japan. Tsunamis are not as recent origin as we think them to be ~ in olden days too, there have been some .. The 365 Crete earthquake occurred at about sunrise on 21 July 365 in the Eastern Mediterranean, with an assumed epicentre near Crete. Geologists today estimate the undersea earthquake to have been a magnitude eight or higher. It caused widespread destruction in central and southern Greece, northern Libya, Egypt, Cyprus, Sicily, and Spain. On Crete, nearly all towns were destroyed. The Crete earthquake was followed by a tsunami which devastated the southern and eastern coasts of the Mediterranean, particularly Libya, Alexandria and the Nile Delta, killing thousands and hurling ships 3 km (1.9 mi) inland. Earthquakes have been occurring on Earth since its formation. They occur when tectonic plates that are sliding against or past each other build up enough tension to slip, causing the rock to settle into a new position and the ground to shake. The United States Geological Survey predicts that 500,000 earthquakes happen every year, although most go undetected because they are so small or so far away from populated areas. 10,000 of them can be felt by humans and 100 of them cause damage. Unfortunately, scientists have not yet discovered a reliably precise way to predict earthquakes, and there is debate over whether such a thing is even possible. Current prediction methods involve measuring the tension that has been bled off by past earthquakes and how often earthquakes have occurred at that location before. Due to the fact that the instruments that can measure tension and accurate seismographs are a recent invention, earthquake prediction continues to be inaccurate and imprecise. A system called Probabilistic Seismic Hazard Analysis is used when nuclear plants are designed, to make sure the facilities are capable of withstanding earthquakes beyond the magnitude of the strongest earthquake recorded at that site. When an earthquake is detected, a nuclear reactor will shut down. However, nature could well beat the system precautions. For example, on March 11, 2011, a magnitude 9 undersea earthquake hit Japan, triggering a 40-foot tsunami that then swept over the Japanese city of Fukushima. 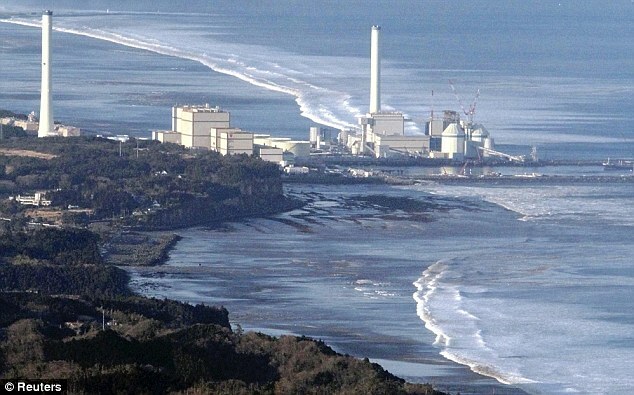 The six reactors located in the Fukushima Daiichi plant did shut down in response to the earthquake and emergency diesel generators started as expected, but when the tsunami hit an hour later, the generators failed. When a powerful temblor struck, after a 7.1 magnitude event killed more than 200 people in Mexico City, Japan announced the country was sending its Japan Disaster Relief Search and Rescue Team to Mexico to help with rescue operations. Now read this article in NDTV of date : When a mega earthquake and a massive tsunami struck Japan in 2011, several nuclear reactors exploded one after the other at Fukushima. In order to see how safe nuclear reactors in India are and whether they are vulnerable to earthquakes, NDTV took a rare inside look at how atomic components are stress tested for earthquakes. Located inside the Kalpakkam nuclear complex in Tamil Nadu is India's largest earthquake simulation table. 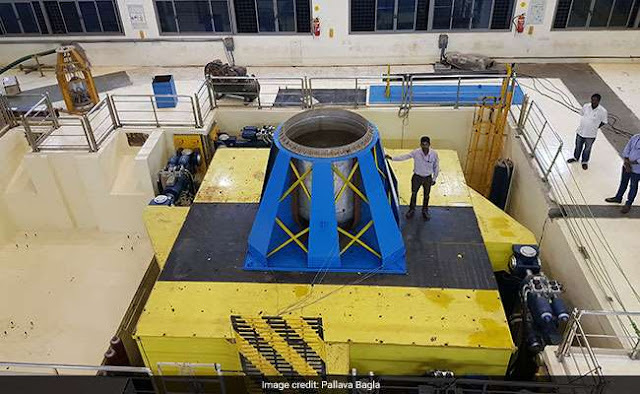 This giant table can take loads up to 100 tons - here earthquakes of massive magnitudes can be generated in the laboratory to stress test atomic components. The unique facility was constructed in 2015 at a cost of Rs 40 crore and has become a national test bed to qualify any equipment for seismic tolerance. Dr B Venkatraman, Head of Safety, Indira Gandhi Center of Atomic Research, Kalpakkam, said "All our reactors are very safe. They can withstand an earthquake equivalent to Fukushima or higher. The public is safe the reactors are also safe." As the foremost precaution, the Indian nuclear watch dog - the Atomic Energy Regulatory Board (AERB) - does not permit atomic installations to be housed in areas of highest seismic risk - Zone 5 - which rules out the entire Himalayan region. Even at other places, choosing a location with low seismic hazard is kept in mind. On the shake table, a steel hot water pipe actually failed only when subjected to 20 earthquakes of eight magnitude or above, an unlikely scenario but this was part of the rigorous simulated stress testing that nuclear materials are subjected to before being installed, explained the nuclear engineers at Kalpakkam. It is often said earthquakes don't kill rather badly designed and poorly constructed buildings do. While a massive seven magnitude earthquake was hardly felt by this reporter standing on the massive earthquake simulation shake table, the same tremor - if one were inside a poorly constructed high rise building - would jolt occupants like never before. In fact, Dr Anil Kakodakar, the former chairman of the Atomic Energy Commission of India, once said, "if there is an earthquake, go inside an Indian nuclear reactor and one will be safe," explaining these buildings are designed to withstand high magnitude earthquakes. One day these bold pronouncements could be tested since India is prone to earthquakes and the northern Indian region is may be struck by a magnitude eight earthquake some time - unfortunately, so far, forecasting earthquakes is near impossible. 'Safety first' is the motto at India's nuclear installations, says Arun Kumar Bhaduri, Director at Indira Gandhi Center for Atomic Research, Kalpakkam, explaining that India's atomic reactors are robustly designed and constructed to withstand high magnitude earthquakes.